It's a term I had used before, but somehow when I used it at a recent KD Paine & Partners, off-campus client meeting, I saw it jell in the eyes of a few folks in the audience. I call it "lethal generosity," the concept that the most generous members of any social media company are the most credible and influential and as such, they can devastate their competition in the marketplace. In short, the company whose representative posts the most tips, links, advice, case studies, best practices that followers find useful will always rises to the top, not just in influence but also in search results. The more outbound links you post, the more inbound links you are likely to receive. One of my favorite illustrations is ancient in social media--over two years old. 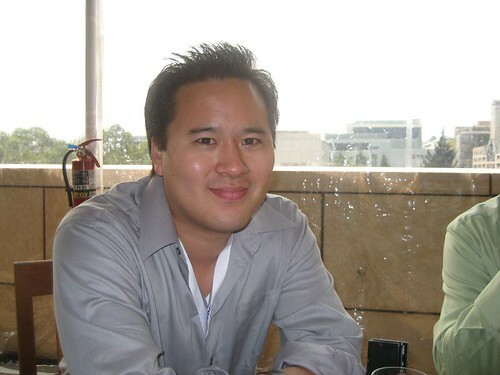 Jeremiah Owyang is a senior analyst at Forrester Research and a recognized online community expert. A couple of years back he was at Hitachi Data Systems (HDS), a global leader in data storage a category that to many of us is as strategically important to the modern organization as it is conversationally boring. Yet there is a a very active data storage community. There are people who dedicate their lives to improving data storage and customers who have great passion for the topic. Companies rise and fall on the issue of data storage and protection. I met Jeremiah at a conference where a competitor was on stage talking and he was relegated to listening from the audience. Both Jeremiah and his own boss, Hu Yoshida had moderately successful blogs but neither had captured the hearts and minds of their community. Jeremiah was working this problem. He had recently sipped social media's Kool Aid and was pondering what he could possibly do in social media that could possibly help HDS. His answer was to start a wiki. And when he did, he added a stroke of brilliance. Instead of making it an Hitachi Wiki, he opened it to all members of the data storage community, vendors, customers, press, analysts--anyone who cared. Jeremiah welcomed competitors. People came to the wiki and discussed ideas and concerns. They answered each other's questions. Any vendor could jump into any discussion. Hitachi never tried to dominate the conversation, but merely participated just like any other data storage vendor. I forget what the wiki ws actually called, and could not find it through a quick Google search this morning. It had a generic name with no mention to HDS. But it was usually referred to in conversations. People knew that Hitachi was behind this preemptive act of generosity. Throughout the community, the wiki was called the "Hitachi Wiki." Hitachi was recognized as the thought leader. This is an example of "lethal generosity." Every time a competitor joined into the wiki conversation, it re-enforced Hitachi's leadership. If it did not join in, it was visibly boycotting a place customers found valuable. Lethal. In social media, the best way to beat your competition is to be more generous with anything that your customer values. In blogs, you are served best by sending people away through links. In Twitter, as Chris Brogan, one of that community's prominent thought leaders advises people to write a dozen times about other subjects for every time a Tweeter talks about his or herself. This is about as far away from the aging command and control philosophy as you can get. 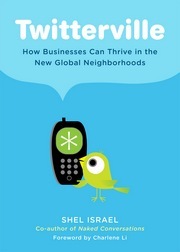 n today's competitive environment, you need to understand that the customer is in control. If you want to win, give the customer what the customer wants. If you do this often enough and credibly enough it will be brutal to your competitors--unless the competitor rises to the occasion and tries to "out-generous" you back. In either case, the customer wins and that is really what social media is all about.